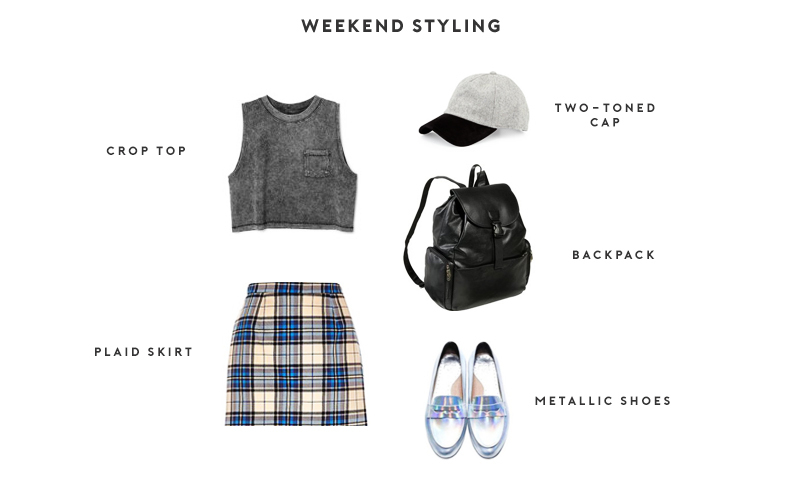 Back with another Weekend Style! I love the two-toned cap and the metallic shoes. I like the blend of colours in this outfit and the highlight item as the plaid skirt. Plaided clothing are always stylish but I love the look of it as a skirt due to the retro appeal it has. This is a summer outfit but can also work well to suit a winter look. Top on a white blazer and ta da! A stylish winter ensemble.